Red Art Games recently announced Old Man’s Journey as its first physical release on Switch. Next up on the docket is Stay, which came to the eShop last September. Pre-orders open this Thursday. Aside from the game itself, buyers will be given a few extra goodies. 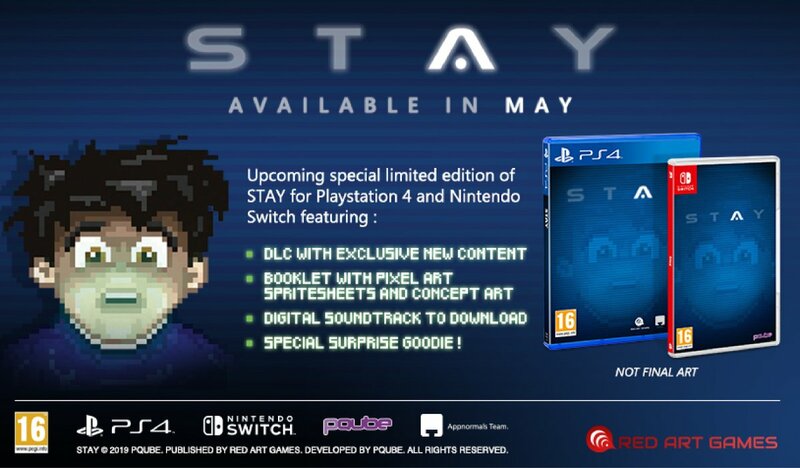 These include DLC, a booklet with spritesheets and concept art, digital soundtrack, and a “special surprise code”.